If you are booking on behalf of an attendee, please complete the fields below. Your attendee will receive a confirmation via email (which you will be copied into). The invoice will be sent directly to the contact provided in stage one of the registration. Please select the number of places you wish to book, from the options listed below. The ‘corporate attendee’ rate is reserved for corporate IR professionals at publicly listed companies only. All others will have to book under the ‘non-corporate’ rate. 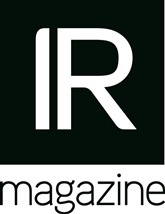 If you have any questions, please contact Janeshia Neeley (janeshia.neeley@irmagazine.com) or on 212 430 6895. For purchases made in US dollars (for Asia-Pacific subscribers), all credit cards will be debited in pounds sterling by your bank or building society on our behalf. US$ prices shall be converted by us at the rate of exchange published by www.xe.com on the day the credit card is charged. Your bank or building society may apply a different exchange rate to that applied by us to convert the pounds sterling amount to your local currency and/or charge an additional fee for the transaction. Please send all details for this to Janeshia Neeley. Please send all details to Janeshia Neeley. Unless specifically excluded, photographs, video and audio footage will be taken/recorded at all events, which will include both speakers and attendees. These will be used in both digital and print marketing and promotional material. If you do not wish to be included in any of the media previously mentioned, please email Janeshia Neeley. Please note that only registered attendees are provided with access to the attendee list on the event app and are verified by the IR Media Group events team prior to being provided with access. If you do not wish to be added to the relevant event app upon registration, please contact Janeshia Neeley. IR Media Group prints name badges (full name and company name) and guest lists (full name, company and job title) for our live events and these are made available to all attendees. If you do not wish to be provided with a name badge or appear on any printed guest lists, please email Janeshia Neeley. I agree to the above mentioned terms and conditions. I understand that by completing & submitting this form, I have registered for this event and that my organization is liable for payment of the price indicated.